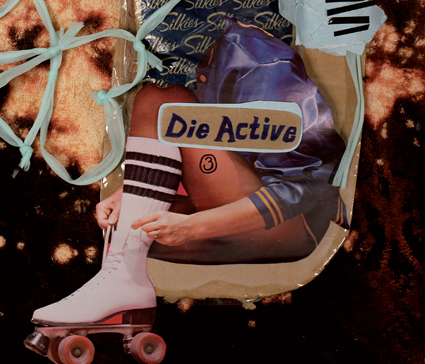 DefSup is pleased to present the 3rd issue of the Die Active Art Zine at Expozine in Montreal! The gallery is sending three Die Active members to one of the largest small press fairs in North America, bringing together over 270 creators of all kinds of publications– from books to zines to graphic novels – in both English and French. The event attracts thousands of visitors as well as exhibitors from across Canada, the United States and even Europe! It’s a unique showcase of the best publications that today’s small publishers and self-publishing authors and artists have to offer. Literally thousands of different publications can be found at Expozine. It’s the perfect introduction to today’s thriving “do it yourself” culture, full of new and innovative forms of books and zines filled with content you aren’t likely to find anywhere else.